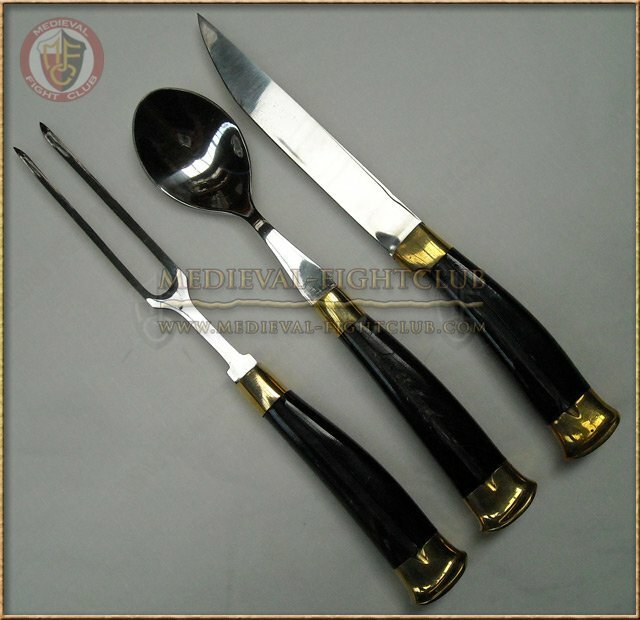 3 piece cutlery set. 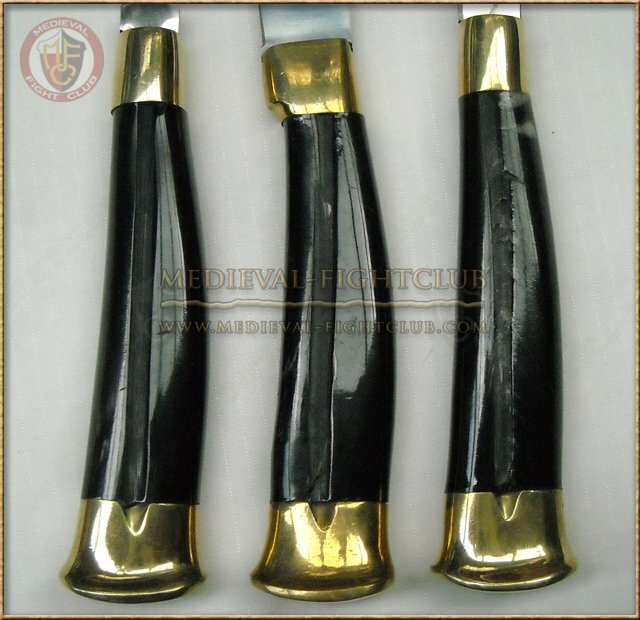 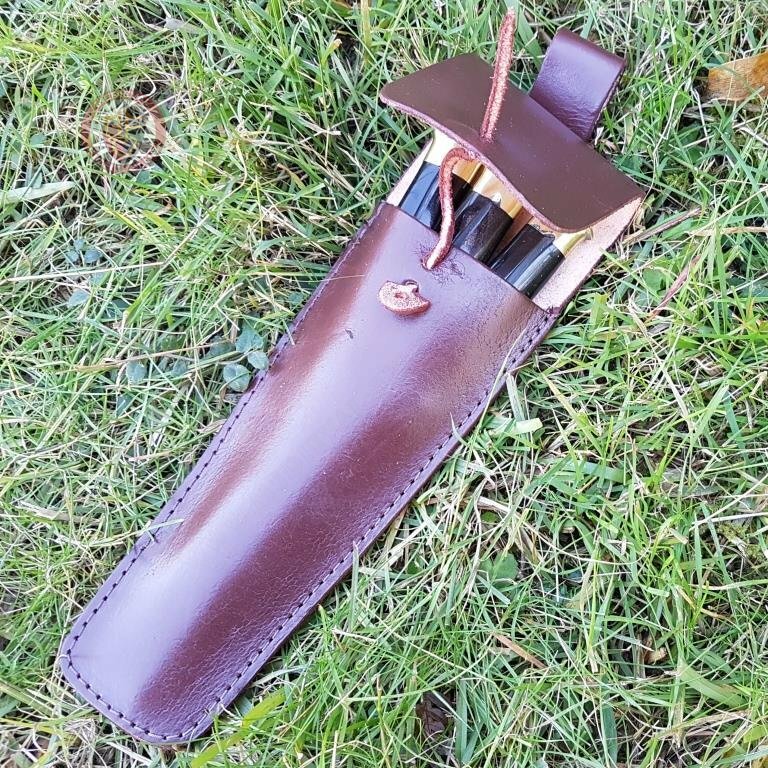 Stainless steel with brass bound horn handles with brown sheath. 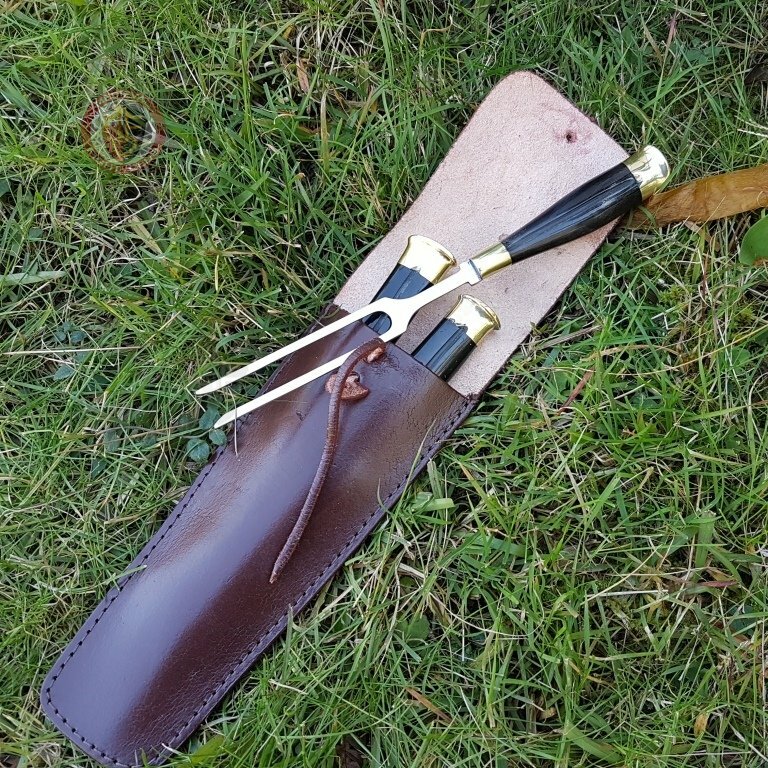 All are handmade so slight variations in size and shape can occur.